a. The natural force of attraction exerted by a celestial body, such as Earth, upon objects at or near its surface, tending to draw them toward the center of the body. 2. Grave consequence; seriousness or importance: They are still quite unaware of the gravity of their problems. 3. Solemnity or dignity of manner. I wondered about the title--but there you have it. This is a movie that must be seen, at least the first time, on the big screen--and the bigger the better. Seeing the visuals of the earth from space makes me long for a journey into space, but that's not going to happen. I'd never pass the physical. So I'll have to be content to be an amateur astronomer and enjoy the awe-inspiring view from the eyes of filmmakers. 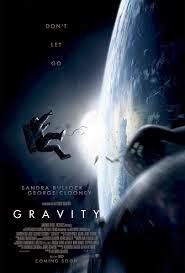 Gravity has only two actors, Sandra Bullock and George Clooney, onscreen, and three voice actors at the beginning, including Ed Harris (Apollo 13). The story opens high above the earth, where the crew of the fictional shuttle Explorer is attempting to make repairs to the Hubble Telescope. Clooney is cocky mission commander Matt Kowalski, joking about being out to break the space walk record, while Bullock's character, Ryan Stone, is a medical engineer, a first-time astronaut suffering from severe anxiety. In the middle of their space walk, the crew receives an emergency transmission from Mission Control. A Russian satellite has exploded, and the remnants are headed their way. They're ordered to abort the mission--but it's already too late. When the debris hits the shuttle, it's also destroyed. Kowalski and Ryan--the only surviving crew members--are stranded in space. With Kowalski leading, the two of them make their way toward the International Space Station, where a Russian Soyuz capsule is docked. The plan is to board it and head for home...but it's also been hit by the satellite remnants. The pair are running out of options...and oxygen. They have one last chance to survive in the most hostile environment imaginable and make their way home. Ryan--who says she was so named because her father wanted a boy--is a woman who doesn't feel she has much to live for. As Kowalski tries to engage her in conversation, she reveals that she had a daughter who died after a head injury "She hit her head, and that was it"). I found it a little puzzling that her commander didn't already know this--don't astronauts get to know each other pretty well during their mission preparation? Though noted astrophysicist Neil deGrasse Tyson found several flaws in the film, for me, the flaws are minor and did not detract from my enjoyment of it. The earth from space and George Clooney--come on, the view doesn't get any better than that! I can see why you'd like it! The backyard astronomer in me just had to see it, since I'll never get to see the earth from that perspective! Now I want to see this movie even more. I was going to wait till it came to the three dollar theater but I might see it sooner. Normally, I hate 3D, but this one would be worth the inconvenience of wearing the stupid glasses! Makes me want to see it! Super review!! Can't wait for the lines to thin out so I don't end up behind the guy in a b-ball cap munching the largest container of popcorn possible. I hate getting stuck behind women with big hair, couples who talk too much, and--my personal gripe--people with small children who are all over everything. Needless to say, we go to matinees! I haven't--but now I think I'd like to! It's a great movie--I'm not surprised it's #1 at the box office for a third consecutive week. Though it's set in space, it's not a sci-fi movie. It's a drama, a survival tale that just happens to take place off the planet. Excellent review, though I can't stand the thought of this movie. I have a major fear or big open spaces. The only thing more frightening to me than the idea of being lost at sea would be being stranded in space!! Just seeing the commercial makes me super anxious. It's silly, I know. I don't think it's silly at all, Krisztina. 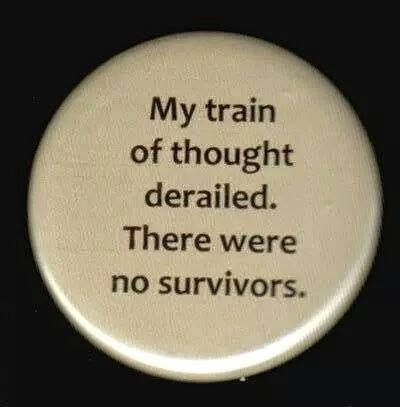 I have the opposite problem: severe claustrophobia. I wouldn't be able to wear the spacesuit! I had the same response, EJ! Only thing I had issue with was how she could read all the different languages on the manuals: Chinese, Russian. I guess we were to assume she could go by pictures alone, or that she was multi-lingual. I wondered why she was able to make contact with mission control in Houston on a Chinese spacecraft! Great review, Norma! I can't wait to see it. This will be one I splurge for to see on the big screen;)! It's worth it, Maria! I get nothing from 3D because I only have sight in one eye, but my son swears it would be spectacular in 3D! I think you'll enjoy it--most people have so far. It's already made over $300,000,000!